The U.S. Marine Generals Sabre has an overall length: 35 inches with a blade length: 27-1/2 inches and has been made from polished stainless steel. 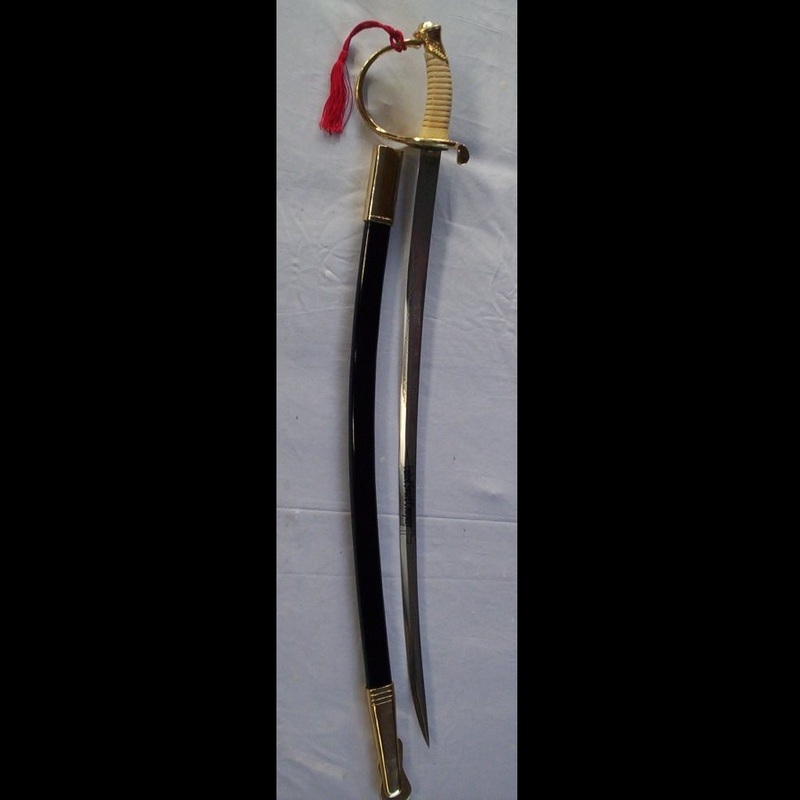 The Marine Generals Sabre is 35 inches in length with a blade length: 27-1/2 inches and has been made from polished stainless steel. 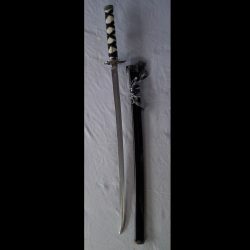 Buy this sword online. 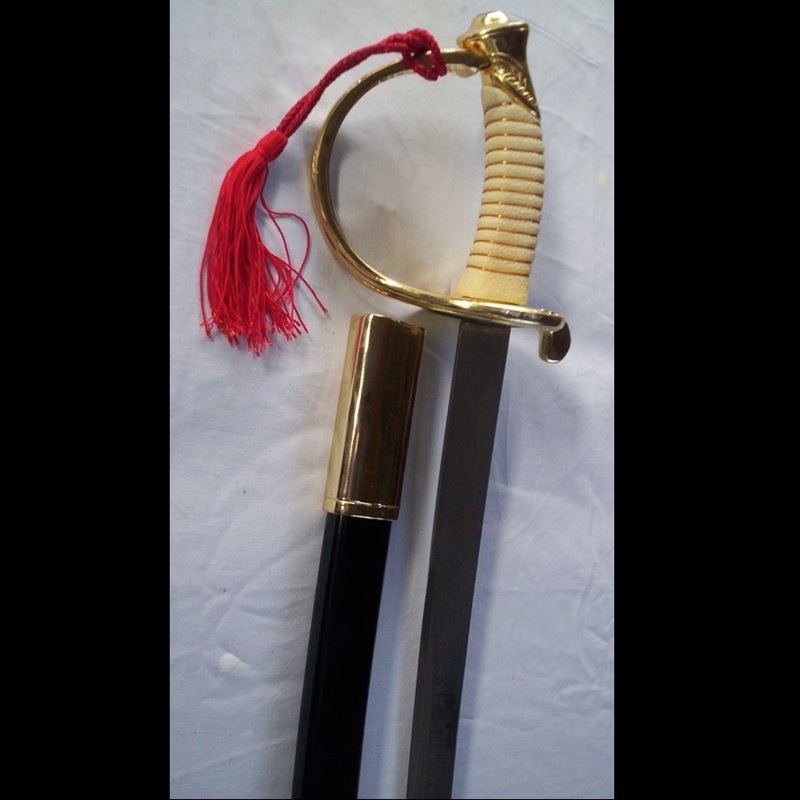 The Marine Generals Sabre is a high quality U.S. Marine replica sword and is a great collectors sword for the starter. 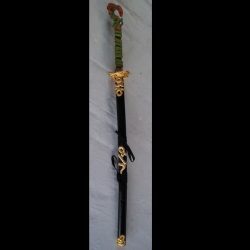 These exact models are used all over the world for different kinds of ceremonies and military presentations. This is a Dressage for a 4 Star General in Gold & Bone Ivory tones and has an overall length: 35 inches with a blade length: 27-1/2inches the blade thickness: 3/16 inches and as you would expect has been made from 420 J2 mirror polished stainless steel during the production they engraved the authentic 1875 U.S. Marines etchings so it can be used in service today the handle is a rough grip which has been bound in a gold twisted wire wrap as was of those days. 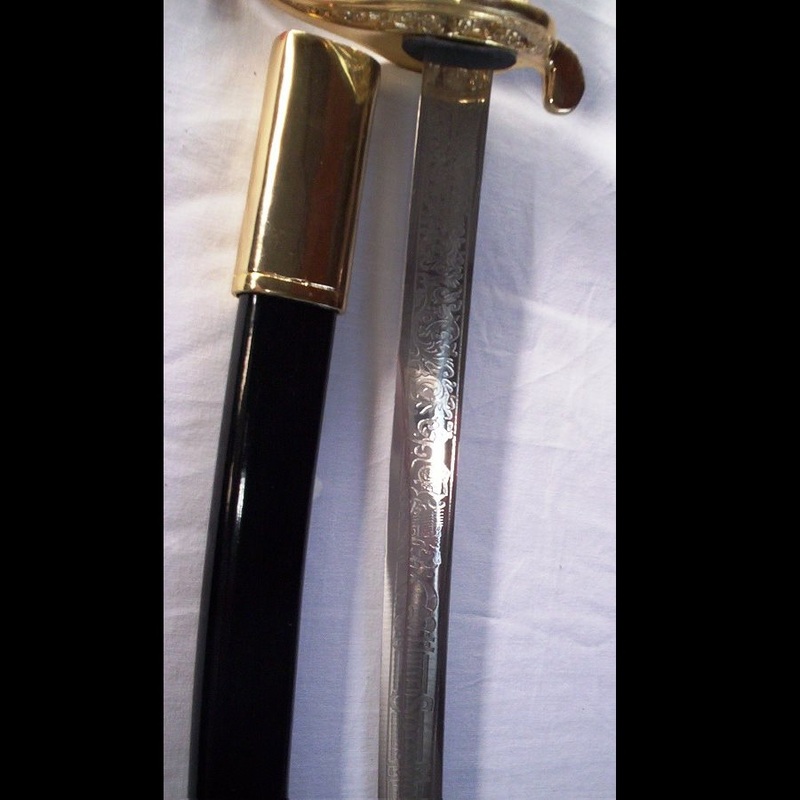 The Scabbard is black with matching polished metal throat and tip to handle and is complemented with its RD knot sash cord.